Exclusive to Boots, this gift set from Origins includes 2 of their best selling face masks- Drink up intensive overnight mask and Clear improvements charcoal mask. Both face masks are creamy in texture and thick enough to allow for easy application without dripping everywhere. The clear improvement mask doesn't have much of a scent, whereas the drink up intensive mask has a lovely citrus fruit scent, making it a joy to use. The charcoal mask needs to be left on till dried, and although the drink up intensive mask is designed to be left on overnight, it also works well as a 10minute treat for the skin. As I have combination skin, I use the charcoal mask on my tzone, and the quenching mask on my cheeks. Afterwards, my skin is left feeling deep cleansed and hydrated, and looks plumped up and radiant - perfect for the festive season! Overall, a great value gift set, ideal for anyone who has normal-combination skin. Available exclusively from Boots, priced at £23. 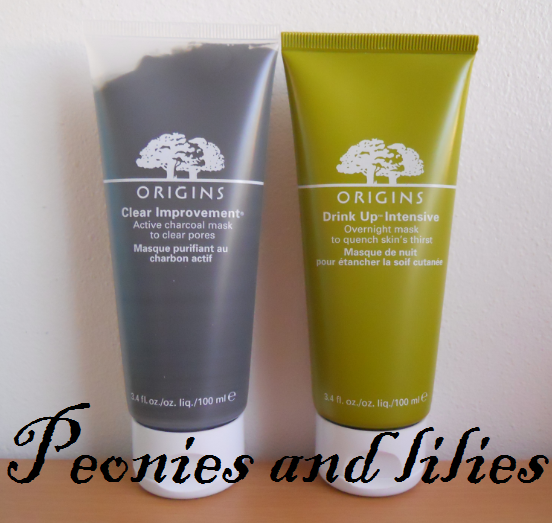 Have you tried any Origins skincare? What will you be buying this Christmas? I've heard great reviews from this brand! I'm not thinking of buying any new skincare products until I finish up what I have right now :P But when I do I'll prob try this brand out!